It’s finally possible to embrace your inner animal and become a chimp, deer, fish, or countless other things in Grand Theft Auto V, thanks to the quick advances of the modding community. 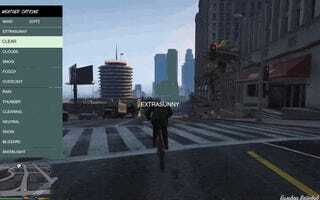 If we ever had any doubts GTA V would become moddable on PC, they’re now gone. 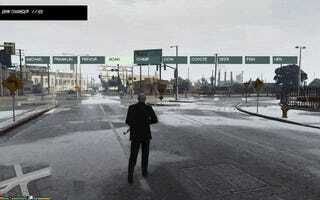 Modder Alexander Blade has released Script Hook, an elaborate trainer for the single player side of the game, allowing you to tweak a number of variables in real-time. You can modify the weather. You can flip on “moon gravity” and watch vehicles float into space. You can turn every bullet into a rocket and blow the world to pieces. Me? 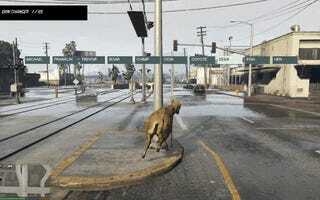 I’m just going to graze the streets of Los Santos as a peaceful lil’ deer. You can download the mod, which is called Script Hook, right over here. But beware: it’s still unclear how Rockstar Games is going to respond to mods like this. When I asked the company about its policy on mods for the single player side of GTA V, I didn’t receive a response. 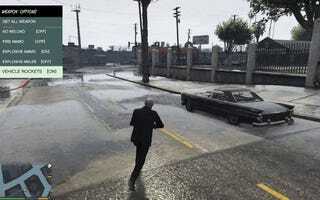 There’s a chance Rockstar will be more aggressive about mods to protect the integrity of Grand Theft Auto Online, but hopefully we’re able to enjoy cool stuff like this.